Cazarez will return to Republic FC for third year, Gabeljic will return for second year. SACRAMENTO, Calif. – Sacramento Republic FC announced that they re-signed defender/midfielder Agustin Cazarez and exercised the contract option on forward Adnan Gabeljic. Cazarez originally signed with Republic FC on August 19, 2014. Cazarez has appeared in 23 matches for Sacramento Republic FC over the last two seasons, scoring one goal and recording one assist. His lone goal of the 2015 season was a match-winning goal against Arizona United SC on June 13. Cazarez started each of the last five matches of the 2015 season, including Sacramento Republic FC’s lone playoff match on September 26. Gabeljic returns to Sacramento Republic FC after joining the club in 2015. Gabeljic appeared in 17 matches for Republic FC in all competitions in 2015, starting four. He scored five goals in all competitions, including a hat trick against Chula Vista FC in the U.S. Open Cup and two USL goals. Gabeljic’s hat trick was the first by a player of Bosnian heritage in U.S. Open Cup history. In addition, Gabeljic is currently training with Liga MX club Atlas FC. The forward will train with the Atlas FC first team during the USL off-season. Gabeljic caught the eye of the Mexican club during their friendly in Sacramento, and they requested that he train with their club. 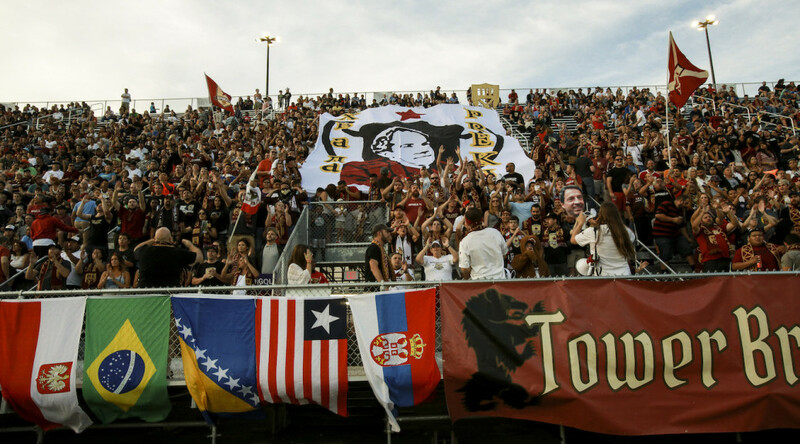 Sacramento Republic FC training camp will commence on February 1, 2016. For more information, including full bios for Cazarez and Gabeljic, visit SacRepublicFC.com.